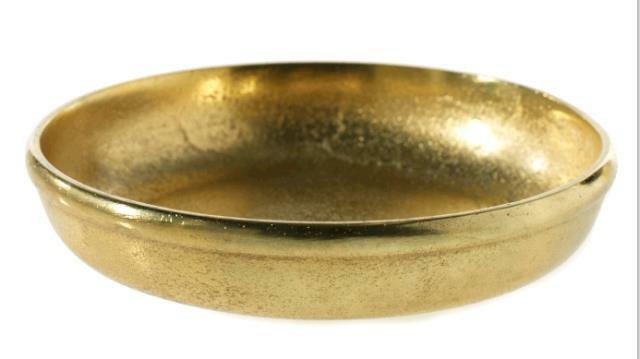 This gold floral bowl goes with either of our gold/brass candelabras. This bowls converts with the center candle to become a floral arrangement. * Please call us with any questions about our candelabra gold floral bowl rentals in Columbia and Jefferson City MO.